The new finish 1352 modular and 1353 modular wide belt sanders impress through exceptional flexibility. 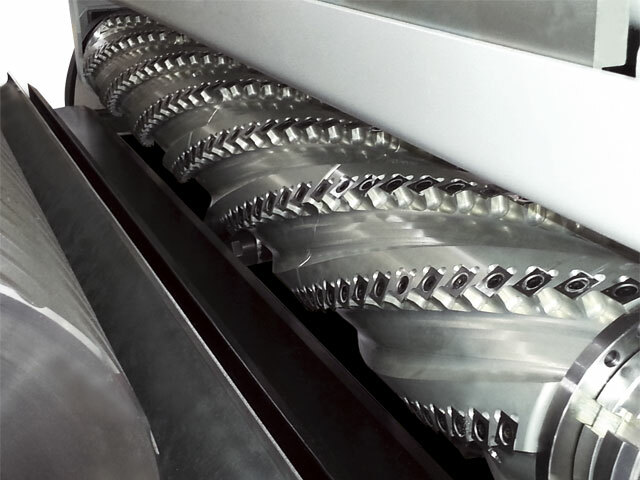 Either as a 2 or 3 belt machine – you can decide the individual equipment and configuration of the processing units. The free aggregate configuration option enables the optimal adaption to your requirements which ensures maximum efficiency and maximum time saving. 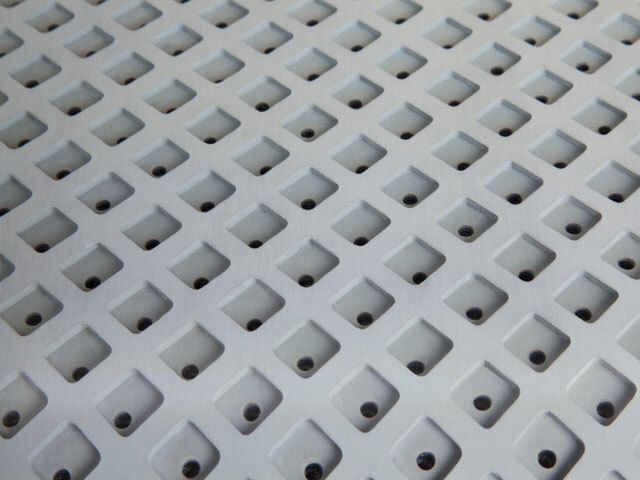 A cutterblock planing head is available as an option, as the first processing unit for maximum cutting performance. Activation and deactivation is carried out from the central control panel. 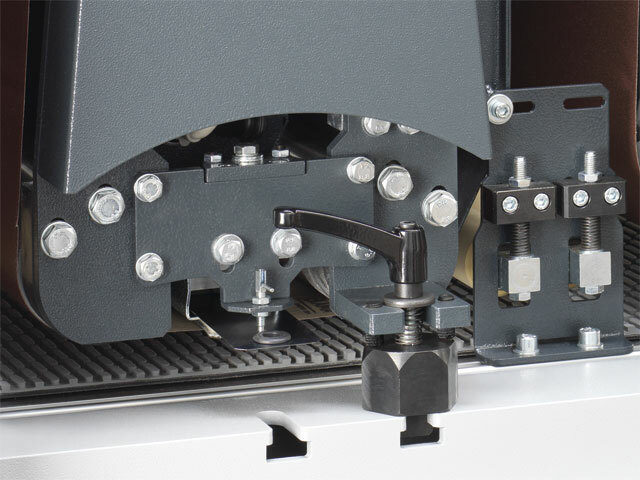 A profiled contact roller (D = 180mm and 85° shore) guarantees maximum accuracy with minimum tolerance when calibrating. 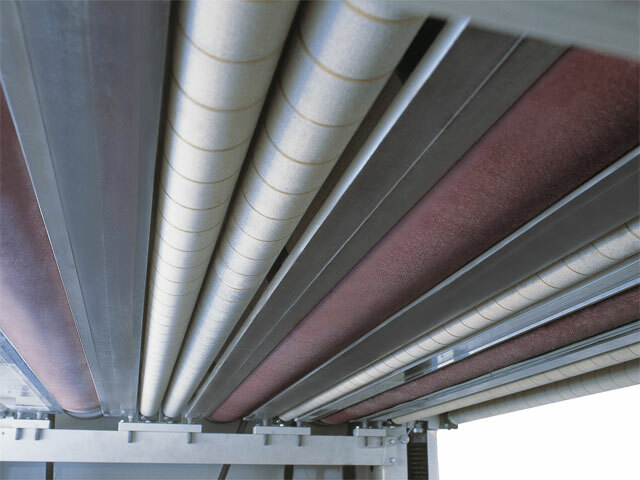 The electro-pneumatic sanding pad is lowered on to the workpiece at the exact correct height for the sanding process. This prevents veneered surfaces from being sanded through, at the front and rear. 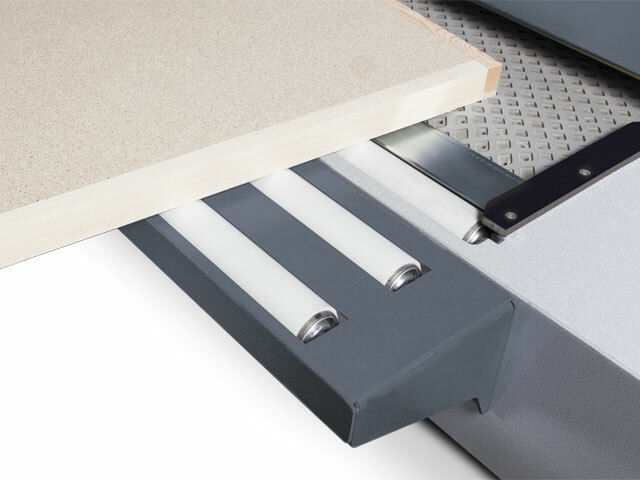 The combination unit with a roller diameter of 140 mm is used for the calibration of solid wood. The electro-pneumatic sanding pad is lowered on to the workpiece at the exact correct height for the sanding process. 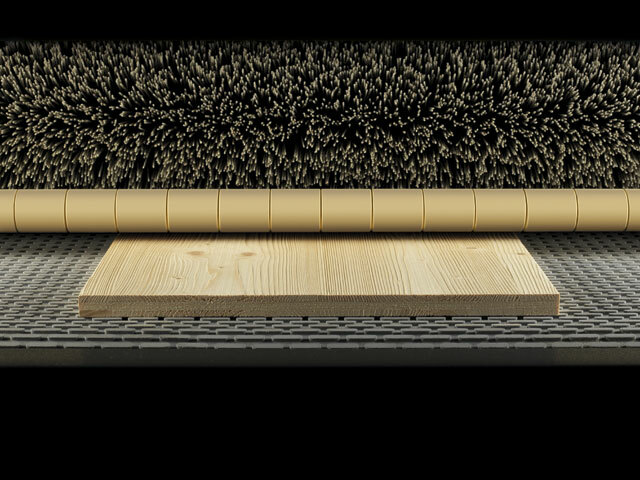 This prevents veneered surfaces from being sanded through, at the front and rear. 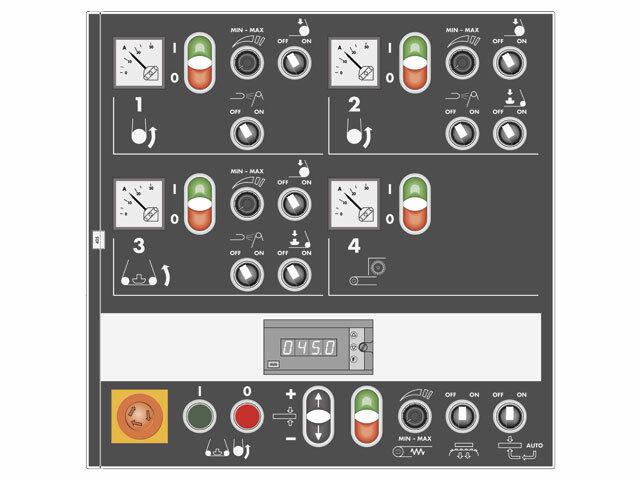 The control panel included as standard enables a simple and quick operation. A selector switch for the aggregate selection, an ammeter for the load display, a display for setting the sanding height ensure optimal operating comfort. 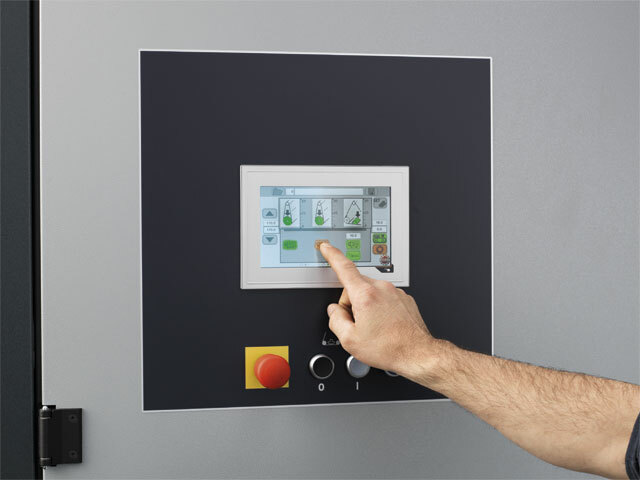 A Touch-screen control is available as an option for maximum operating comfort. The clearly structured and intuitive control panel provides maximum productivity. 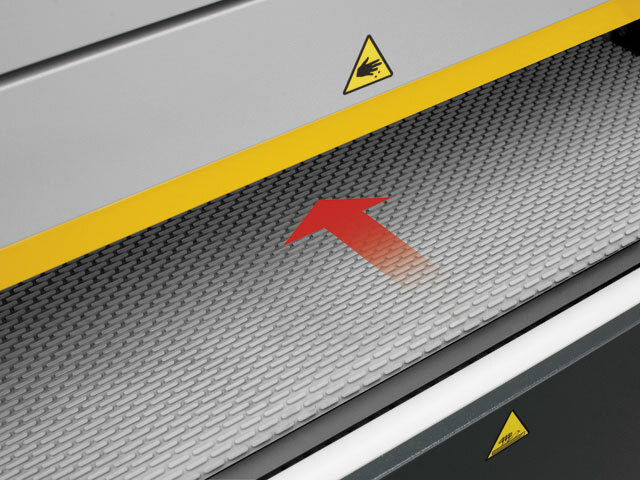 The machine functions that are available are shown graphically and controlled using high quality switches. The infeed thickness is clearly shown on the digital display and by using the push button can be adjusted with an accuracy of 0.1 of a millimetre. The wide belt sander can also be equipped with a vacuum table which is particularly useful for smooth, small or thinner workpieces. The vacuum is created by a high pressure fan which is coupled with the feed. 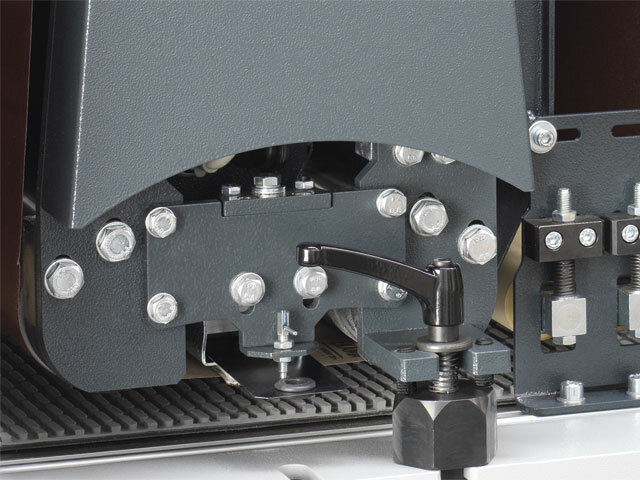 The vacuum holds the workpiece through the holes in the vacuum feed belt. As an option, we are able to equip your Format-4 wide belt sander with roller extension tables both on the infeed and outfeed side. 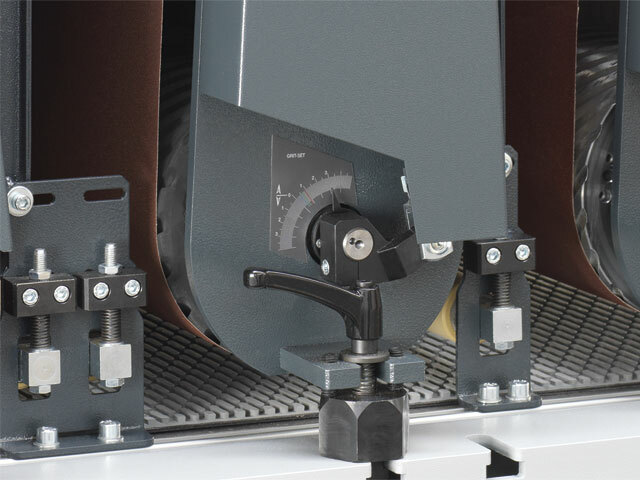 Automatic thickness measurement facilitates adjustment of the machine to the desired workpiece thickness. The workpiece is measured directly on the machine without additional measuring devices being required. The required sanding depth can be set in + or - using the adjustment wheel. 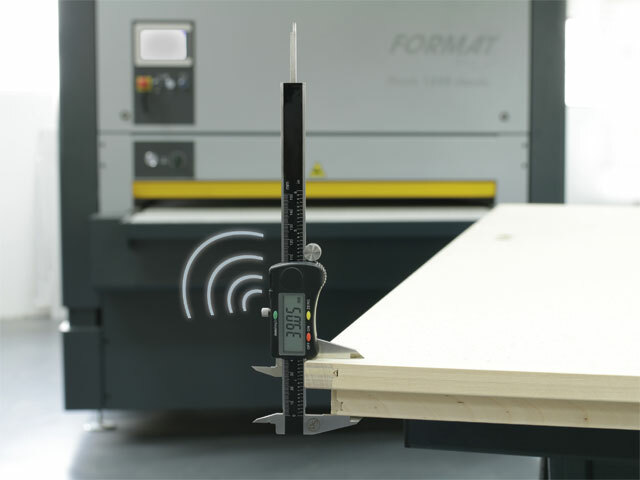 This wireless option makes it possible to measure the workpiece in front of the machine. The thickness is transferred wirelessly to the machine.